A Texan by birth and upbringing, Co-pastor Rev. Chip Low is a graduate of Baylor University and Princeton Theological Seminary. After 2 years of hospital chaplaincy in Toledo, OH, Chip served as the pastor of Presbyterian churches in Marlboro and Highland, NY and now Yorktown Heights, NY. 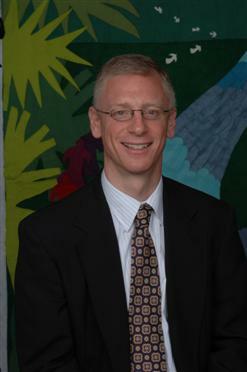 In addition to many leadership roles in Hudson River Presbytery, Chip is a Professional Certified Coach through the International Coach Federation, working with FPCY, individuals and groups in churches, businesses and non-profits to further their vision, leadership development, and organizational alignment for what is next. He also enjoys spinning, tennis, golf, rock climbing, reading, and time with his wife Co-pastor Tami Seidel and their three children.